ProKitchen Showroom is your design sharing solution! 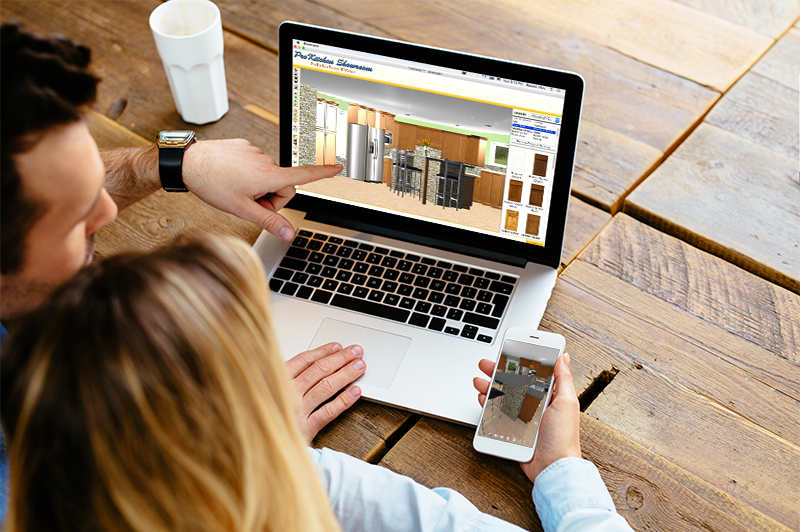 ProKitchen Showroom is a free design viewer for your customers. It is enabled with the powerful Light and Shadow 3D engine and available on both Windows and Mac. When you complete your design you can e-mail it right from ProKitchen to your customer in Showroom format. Your client can open your design in Showroom and view all details of your design in 3D the same way as if you showed it to him on ProKitchen. Your clients can also change the door styles, finishes and colors at their leisure and e-mail you back their selection. You can then compete and price it in ProKitchen. Real View grants all the designer and dealers with the free distribution license of the ProKitchen Showroom. E-mail your clients the ProKitchen Showroom download link. Burn and distribute ProKitchen Showroom CDs to your clients for FREE.